Legends Online is a fantasy based online action adventure meets roguelike game set in a unique persistent universe. The game is being developed by Candlelit Games and has no set release date. For more information, visit http://www.legendsonline.com/. Q: How far along is the game? A: The game is still in the design stage, although some elements have already been developed. The artwork for Legends Online has been under construction for a year now. If we had to give this phase in development a name, it would be "pre-alpha". Q: What will make Legends different from other online role playing games? A: We will not rely on time-consuming activities to waste your game-play time. The environment will be fully interactive and will allow for seemingly endless situations (players could destroy a wall in a dungeon that allows for a shorter travel path until something or someone repairs the wall, for example). We will encourage team-play as well as solo-play. Legends Online is based on the idea that players can become a "Legend" which can forever impact the game and world in very big ways. A: The goal of Legends Online is what you make it. You can explore the fantasy based world, go deep into history and lore, exploring ancient mysteries and myths, solving puzzles and reaping rewards. You can join the battle against other players in war, or you can pave the way for your character to become a Legend! Q: What will combat be like? A: Combat is real-time action based, and uses a target system. 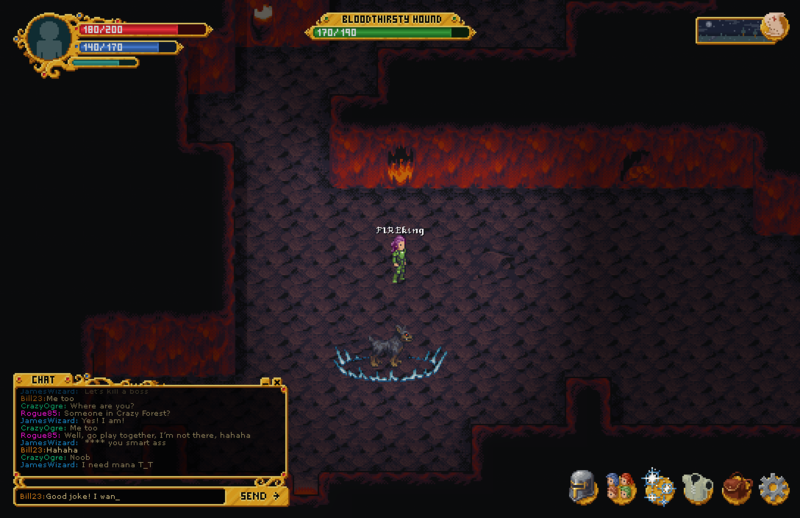 Players will assume certain roles in a combat situation, such as damage taker, damage dealer, damage healer, or various support classes for example. Enemies will have clever battle mechanics similar to bosses you'd find in games like Zelda for example. Q: Will the game have PVP? A: Yes. PVP will be a large part of Legends Online, and we will have many different types such as 1v1, team based, or even "objective based" modes. PVP will only occur in designated areas so that people who do not wish to participate in PVP won't have to.